We are all aware of the benefits of introducing more eco-friendly materials and techniques into our lives, and there is extensive research to show how this can have a positive impact on the planet and our own lives. One of the easiest ways to start going green cleaning routine and this is a growing trend. Even professionals, such as EZ Bed Bug Exterminator NYC - Treatment & Dog Inspection for Bed Bugs experts, are offering more environmentally-focused services. 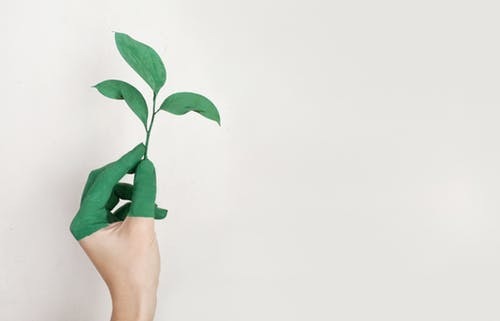 They and other providers are looking to reduce chemicals and do their bit to save the planet, and there is plenty you can do within your own home to make a difference. Here are the simple changes you can make to be more environmentally friendly! One of the most significant issues with cleaning is the popularity of single-use wipes to clean surfaces. Though convenient, these are usually non-recyclable, meaning that we end up with piles of waste in our landfills. Some homeowners will also flush these wipes, and this leads to blocked drains and pollution in streams, lakes, and rivers. To avoid this, invest in reusable cloths which can be used and washed time and again. These will have the same effect, but will be a massive saving for the planet—not to mention the cost savings! Your products themselves can also benefit from this approach. Rather than buying countless plastic spray bottles, a better idea is to invest in one or two eco-friendly reusable bottles. Natural cleaning solutions can be decanted into these, reducing the amount of plastic required and allowing you to have a handy spray whenever you need it. We live in a world where many automatically associate cleanliness with bleach, and anything less is slovenly. In truth, there is a range of natural options which can provide incredible results. A particular favourite is a baking soda, which can tackle any chore from eliminating unwanted odours to removing stains, and can even be used to polish your jewellery! It is also a far less-damaging option than the endless sprays and chemicals and offers a one-stop solution to a variety of everyday household tasks. White vinegar is also a hidden gem, and is the secret weapon of many a savvy housekeeper who can get the windows to shine in a way many sprays cannot! While you may feel that a clean environment helps improve your health, the truth is that the opposite may be exact. While no-one is advocating living in squalor, research suggests that excessive cleaning, disinfecting, and sanitising can be detrimental to your immune system, making it harder to fight off common illness. Because in an ultra-sanitized environment your body is unfamiliar with everyday germs and dirt, it is unable to build up adequate defences, resulting in a weakened ability to fight back. Basic cleanliness is obviously crucial for good health and wellbeing—particularly around food preparation—but obsessively spraying bleach every hour may be doing more harm than good. It can help to take a step back once the basics are done, and learn to embrace a little mess now and again. Your body will thank you!